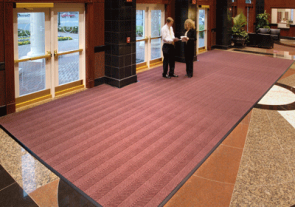 High traffic areas need special entrance matting solutions like recessed mats, cocoa mats, and grill systems. Grill systems feature horizontal slats, or panels, that effectively remove dirt from overhead traffic. Dirt and moisture then falls into the depression of the floor to keep entryways safe and clean. We carry a variety of recessed floor mats and grill products from industry leading brands. 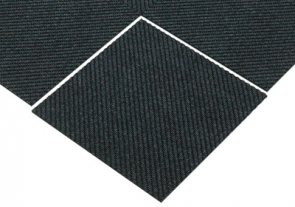 This matting is unique in its ability to lie flush with the ground on which it is placed. Traditionally, these products are designed to fit within a preexisting space, or recess, in the floor. 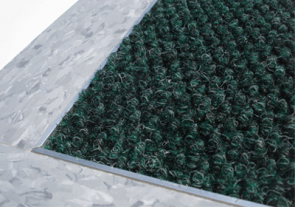 Today, we are proud to offer contemporary surface-mounted mats that do not require an already existing recess. We invite you to browse our collection to find the mat that is best for you! 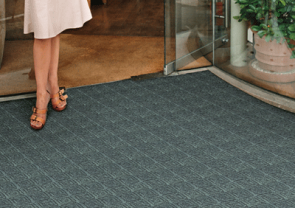 Pedimats® are the most popular choice for architects and Class-A buildings and vestibules. The finest recessed mat on the market, perfectly combining tough steel construction with a beautiful array of carpet, vinyl, and acrylic colored inserts! 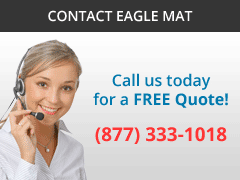 Eagle Mat's top selling recessed entrance mat! PediTred® is a deep grid that can be rolled back for easy cleaning. It is also the industry’s strongest architectural grid, offering 1000lb per wheel rolling load capabilities. The ¾" depth offers more dirt collection storage and a variety of both surface and recessed mounted frame options for ease of installation. The industry's strongest architectural grid! Pedigrid® has been manufactured for over 40 years. This grid offers ample storage for dirt and moisture with its 1-13/16" deep rail. One inch vinyl cushions spaced 20" on center on the under rail protect the aluminum rails from clanging on the concrete pit surface. Several finishes and inserts offer varied design options. Pedigrid® is always recess mounted, but offers a variety of frame options. Cocoa Mats are constructed using the husk fibers of naturally grown coconuts shipped directly from India. High-grade vinyl backing holds the Cocoa Mat firmly in place. Comes in 1/2", 5/8" 3/4" & 1" thicknesses. Cocoa Mats are known for being immune to wear and tear. 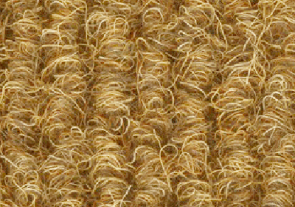 Cocoa mats are very unique because of its bristle coconut hair material as opposed to industrial carpet or polypropylene matting. 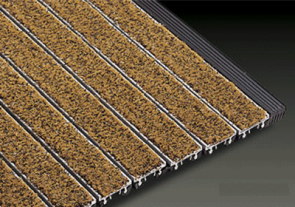 Berber Supreme Recessed Mats are the industry benchmark in protecting against dirt and moisture accumulation. Great for office buildings, schools, hospitals, hotels, and more! Available in 3/8" or 7/16" thicknesses. Unmatched protection against dirt, debris, and moisture accumulation. Features commercial grade Nitrile rubber backing for superior durability and longevity. Distinct Berber high-low surface pattern is perfect in hotels and Class A buildings. Berber Supreme Recessed Logo Mats are the #1 choice for high traffic entryways that need a little brand-power. Proudly feature your company logo, slogan, or important safety messaging on enduring Berber carpeting. FREE set up and image proofing of your logo image! 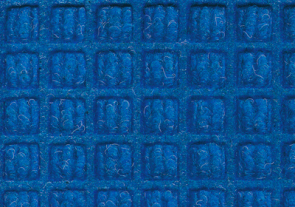 Features distinct high-low “Berber” surface design. Unparalleled retention of dirt, debris, and liquid accumulation. Backed with Nitrile rubber for extra traction and longevity. Popular among Class A buildings, hotels, and other heavily trafficked commercial business spaces. Berber Supreme Brush Recessed Mats offer the same style and uniqueness of our Cocoa Mats. 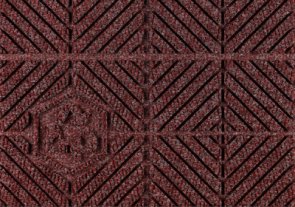 This mat is a Berber-made alternative to the Cocoa door mat. Ideal for heavy traffic, both indoors and outdoors. Textured bristle surface for excellent traction and dirt protection. High grade rubber backing, for superior durability and weather proofing. 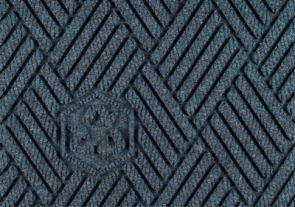 Fine bristle weave fibers and coarse non-fading / shedding textured surface. 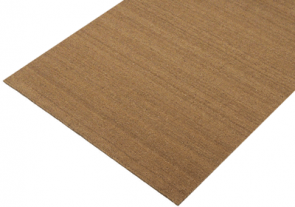 Berber Deco Rib Recessed Mats are designed to aggressively stop dirt and moisture at the door. 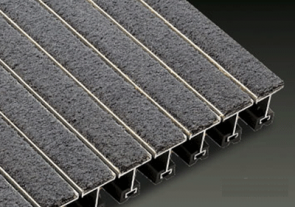 One of our most popular recessed matting solutions! Ideal for use in moderate to heavy traffic. 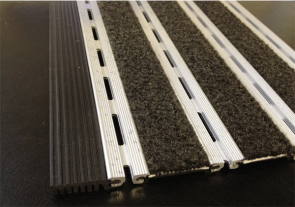 Parallel grooves/ridges provide excellent durability and weight support. Weather Proof Ultra Violet stabilizers prevent color fading for outside use. Distinct Berber high-low ridge surface contains dirt and moisture below the surface of the mat. Berber Supreme Modular features easy-to-install square tiles manufactured using our Berber Supreme carpet material. Berber Supreme delivers aggressive scraping action and durability. One of our most popular do-it-yourself products! High-low hobnail surface pattern is aggressive in cleaning shoes. Very popular among office buildings, hotel lobbies, and vestibules. 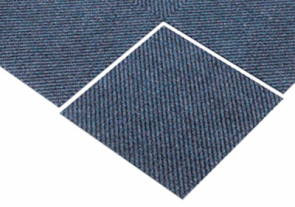 Berber Diagonal Modular features easy-to-install square tiles manufactured using our Berber Supreme carpet material. Berber Diagonal is one of our most popular selling do-it-yourself products. The diagonal design is aggressive in scraping dirt and debris from the bottoms of shoes. Comes in a case of (20) 19-11/16" square tiles. =53.833 total square feet. 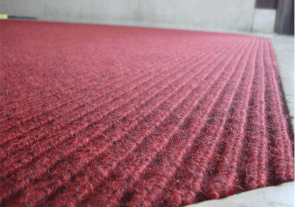 Berber Supreme Diagonal is one of our most popular selling do-it-yourself recessed mats. The dense diagonal tile design is aggressive in scraping dirt and debris from the bottoms of shoes. Comes in a case of (12) 19-11/16" square tiles. =32.40 total square feet. 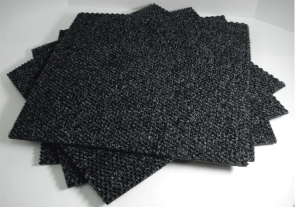 Recycled Rubber Tire Tiles are constructed of 100% recycled truck and airplane rubber tires. One of our strongest and most eco-friendly rubber products! Made of 100% recycled rubber! Ideal for moderate to heavy foot traffic. Buffed to a chenille finish for a less industrial look. Strong recycled rubber allows for heavy weight and wheel bearing loads. 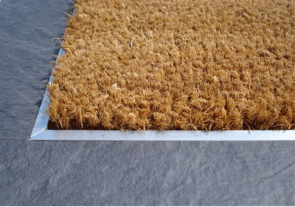 Chesapeake Turf Recess Mats provide superior dirt scraping action with its twisted crimp fibers and firm polypropylene fiber blend interweaved into the surface of the mat. Firm polypropylene fibers effectively remove dirt and debris from the soles of shoes, keeping your lobbies clean and dry. Stiff, upright polypropylene fibers provide sturdy footing above the moisture and debris. Made for highly trafficked areas both indoor and out. Stainless steel construction and vinyl links provide long-lasting durability. Vinyl Link Recessed Logo Mats have rectangular links that are bound together with industrial strength stainless steel rods. The stainless steel construction and vinyl links provide for superior long-lasting durability while offering a slightly different atheistic appearance. FREE set up and proofing of your logo image. This recessed logo mat is a favorite among U.S. Military facilities. Alternating colored links create a unique look for your logo image.